American Prohibition was far from watertight. If you knew the right people, or the right place to be, you could get a drink—most likely a variation of the real thing, made by blending smuggled, industrial alcohol or homemade moonshines with extracts, herbs, and oils to imitate the aroma and taste of familiar spirits. Most of the illegal recipes were written out by hand and secretly shared. The “lost recipes” in this book come from one such compilation, a journal hidden within an antique book of poetry, with 300 entries on making liquors, cordials, absinthe, bitters, and wine. 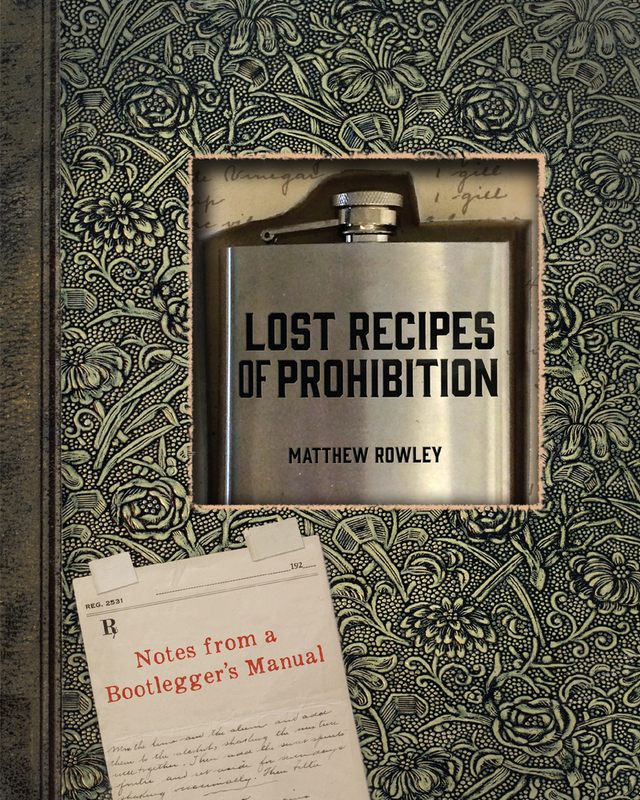 Lost Recipes of Prohibition features more than 70 pages from this notebook, with explanations and descriptions for real and faked spirits. Readers will also find historic and modern cocktails from some of today's leading bartenders, including rum shrubs, DIY summer cups, sugar-frosted "ice" cordials, 19th- and 21st-century cinnamon whiskeys, homemade creme de menthe, absinthe-spiked cocktail onions, caramel lemonade, and more.